Århusgadekvarteret is taking its final shape. Housing about 3.000 people and 7.000 jobs, this area is inner Nordhavn’s first urban neighborhood. During the tour, we will talk about the future plans for the neighborhood and present the new architectural design of the area. The old buildings, siloes, and waterfront of Århusgadekvarteret together with the new urban area, buildings, and wharfs create a visionary urban area with visible historical marks. The dense residential area, with its narrow alleys, small urban areas and courtyards, stands in contrast to the open space of the water. 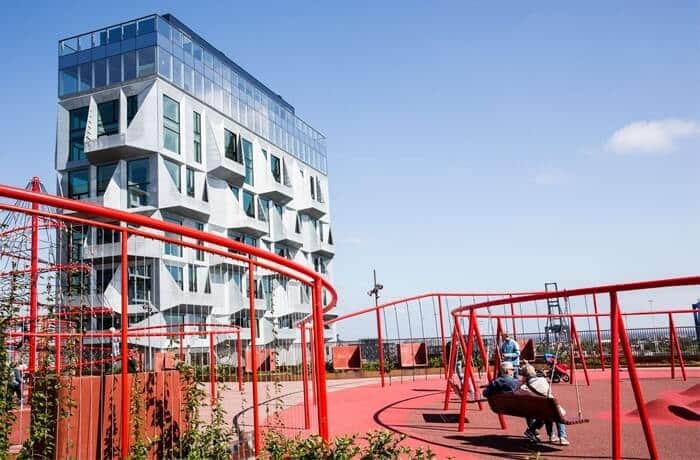 The tour includes a visit to the new promenade Sandkaj and the recreational area Konditaget Lüders, and we will take a closer look at the new nearby residential neighborhood. 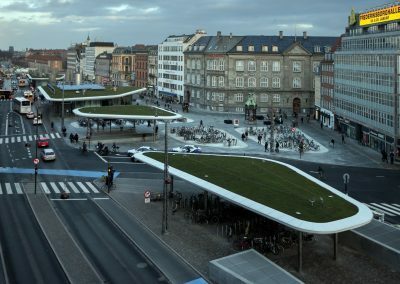 CPH City & Port Development’s exhibition entitled Himmel & hav! 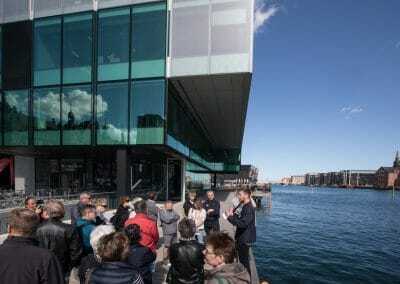 about the development of Nordhavn, primarly Århusgadekvarteret, is located on the first floor of the old DLG Silo.